Signed and Numbered edition of 35. 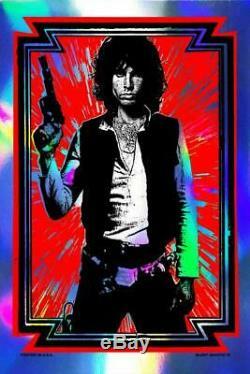 The item "Star Wars'Light My Saber' Han Solo Matt Dye poster/print Jim MorrisonDoors Foil" is in sale since Friday, March 1, 2019. This item is in the category "Art\Art Prints". The seller is "emv119" and is located in State College, Pennsylvania.